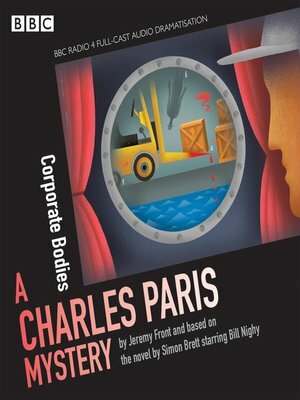 A BBC Radio 4 full-cast adaptation of Simon Brett's comic murder mystery, starring Bill Nighy as the irrepressible Charles Paris. Charles Paris (unsuccessful actor, bad husband, dipsomaniac) is currently appearing as a fork lift operator in a corporate video. It's not prime-time television or a major film, but it seems like easy money - until the fork lift is used to commit a murder. When Charles himself comes under suspicion, he decides to find out for himself who the murderer is. Suzanne Burden, Tim McInnery and Jon Glover are also among the cast in this dramatisation by Jeremy Front.